Sparkling with 21.18 carats of hand-applied diamonds and recently auctioned for $420,000, this stunning example of precision craftsmanship is now in the record books as the most expensive shoe ever. New Zealand’s top shoe designer Kathryn Wilson conceived the pretty pump, simply called “The Diamond Shoe,” to benefit Ronald McDonald House children’s charity, for which she is an ambassador. 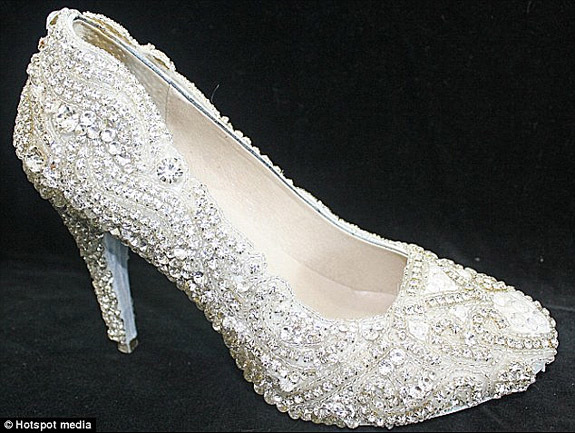 Fit for a princess, the single classic court-heeled shoe took more than 50 hours to complete. Using tweezers and a special adhesive, Wilson painstakingly placed hundreds of diamonds of various sizes into a predetermined pattern that she hand sketched onto the white shoes with a pencil, according to The Daily Mail. Wilson explained that the project was very complex because she had to determine how many carats of diamonds were required and how much space she would need for the lace and embellishments. 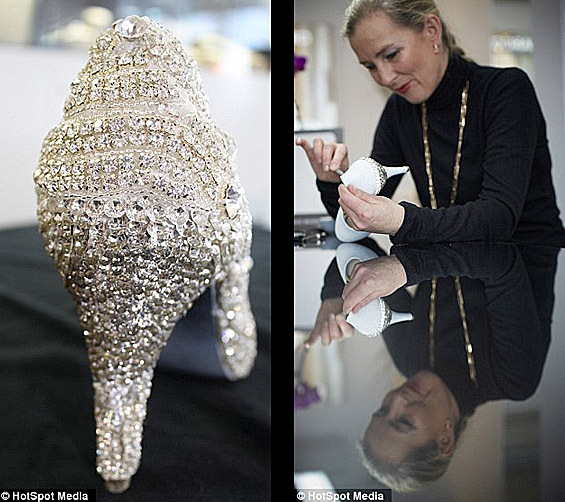 Collaborating on “The Diamond Shoe” was Sarah Hutchings of Auckland-based luxury retailer Orsini Fine Jewellery. “Like most women, I have a lifelong love of shoes,” Hutchings told MSN.com. “Creating a dream shoe appealed to the princess inside me and, I'm sure, most girls out there."